Without Having A Bachelor's Degree In Art And design! I'm Giving Away The RAW And Unflattened PSDs To 27 Of My Websites So You Produce Stunning Websites Of Your Own With A Simple Drag And Drop! Forget about one-time offers, upsells, downsells and cross-sells, tell-a-friend scripts, tweet me buttons, share this on Facebook buttons, affiliate programs or even offering high-ticket items, none of it will happen because you didn’t make a good first and lasting impression. You did not impress them! Even if you wanted to collect sign-ups and follow up with your subscribers with promo emails for you products and affiliate recommendations, no one would want to sign-up because of the first impression you’re leaving on your site! They’ll remember you as ‘that’s the guy with that awful website trying to spam me and sell me junk... I think I'll unsubscribe’... harsh but true. graphics is definitely a top priority when it comes to building an online presence. Which is why you're here on this page. Today I want to provide you with over 12 months worth of my own personal work to save you time, effort and money. You don't need a degree in art and design, you don't need to spend hours watching poor quality videos on YouTube, and you definitely won't need to fork out $497+ on a graphic designer. What I'm offering is the RAW and UNFLATTENED PSDs to 27 websites which I've built in the past to maintain and sustain a solid income online. With each website you'll receive the PSD template, eCovers, banners buy now buttons and so much more. And because they're unflattened, you can drag and drop the graphic elements into your own website such as text, logos, people, icons, textures, colors and much more. With these RAW templates you'll be able to get REALLY creative and produce beautiful and profitable websites all by yourself! Personal Usage With Unlimited Branding Possibilities! 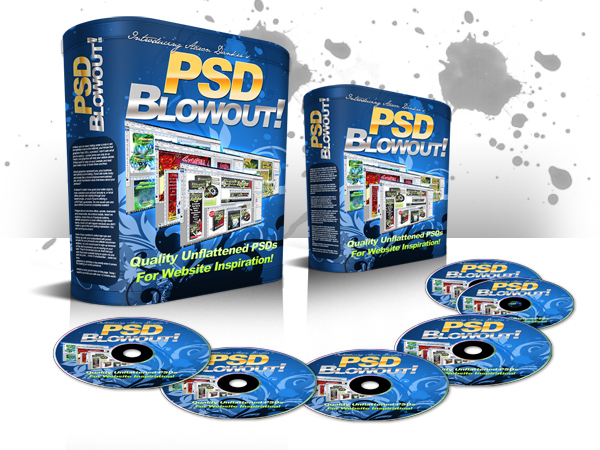 Component box PSD graphics - the component box stores your module, or in-depth information about your product. Use it to redirect your visitor's eyes to the real meat of your product. "Wow That's a total value of $13,419!" Now You Have The Creative Power To Generate Beautiful And high-Converting Websites Without Needing A Degree In Art! There are just so many ways to make your own amazing and profitable websites with these graphics you see here in front of you that it will cost you NOT to have them! Even the ones mentioned here can still be dug into deeper! You really cannot lose! With these UNFLATTENED PSDs it's now easier than ever to start making beautiful websites that will seriously increase your conversions! Let's take a look at the real value of what you're getting here. These numbers are based on what it would cost to have these graphics created for you so you know you're getting a lot for your one-time investment. Outsoucing this kind of work takes a lot of time and money and can easily total up to $13,000+. But you won't have to pay anywhere near that amount! we're going to offer you a generous discount for taking action now. If you buy right now from special offer page, we'll provide you with all the PSDs to 27 website for a one-time payment of only $497 $27! Yes you read that right - $497 $27 to $13,419 worth of content which you can use to drastically improve ALL your websites and anything you create in the near future! Please note: This is a huge download at over 2GB! Please ensure you have a sufficient internet connection or a download manager installed. You will also need a copy of Photoshop installed on your PC if you intend to view and edit the PSD files. YES Charles! I want instant access to ALL 27 of your website graphics templates! I realize that I'm getting all the Photoshop PSDs in their original layers so I can edit how I want to improve my websites! YES Charles! I understand that these graphics will increase my conversion rates and take my business to the next level! YES Charles! I also understand that if I'm not happy with the course or still can't make more money from using it, I can simply ask for a refund even 60 days from now! These are the same graphics that I've used to run a successful online business and popular membership site. Now you're going to get the exact same graphics but you'll be able to edit them how YOU want! Grab your templates now before this site is closed!